In honor of the holiday season, the lobby of the Alabama Theatre has been transformed with holiday decor. Interior designer Glen Kinnaird, of NYC Modern Home and an Alabama native, traveled from his home in New York to spread a little cheer and cloak the historic lobby with Christmas decorations. In addition to donating his time, Kinnaird matched the funds the theater budgeted for the decorations to create a holiday wonderland. Flowers were donated by Hall’s Wholesale Florist and Northlight Seasonal. 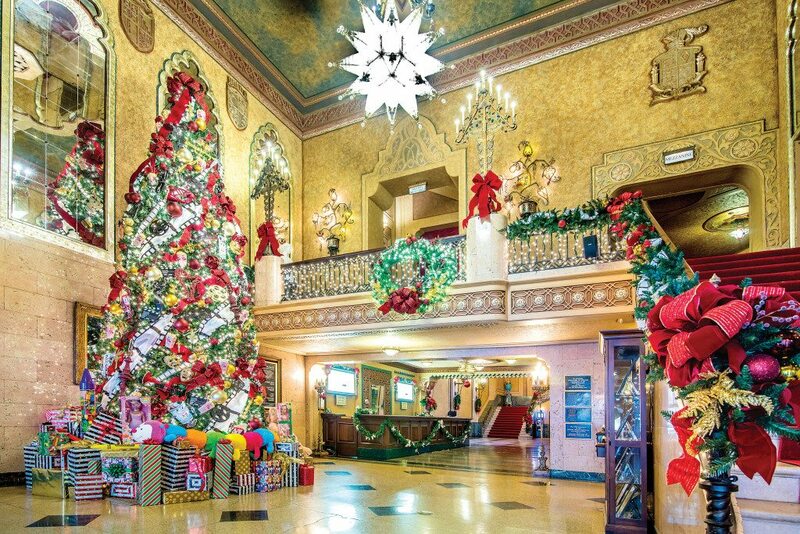 To put the decor to good use, the Alabama Theatre will continue its annual holiday film series through Dec. 22, showing classic family-friendly holiday movies. All tickets are $8 and can be purchased at www.ticketmaster.com.